Many of our recreational ranch buyers prefer land with unique or luxurious improvements. These properties are a getaway from the hustle and bustle of everyday life, and allow landowners to pursue recreational pursuits such as fly-fishing, horseback-riding, hiking, trophy hunting, wildlife viewing, mountain biking, and the list goes on! Here is our round-up of available recreational properties with these stellar improvements. Situated in NW Colorado’s White River Valley lies Elk Creek Ranch, a sporting community with limited membership opportunities and seemingly unlimited fly-fishing & hunting resources. 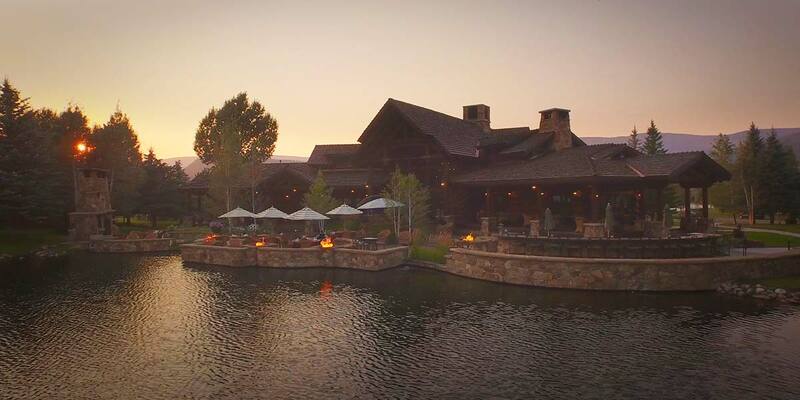 The ranch features a beautiful central village with four luxury cabins, an enormous lodge with private dining and bar, as well as its very own fly shop. Sundance Bench Ranch is a one-of-a- kind sporting retreat located in Montana’s scenic Madison Valley overlooking the river. The property features a totally unique Norwegian style lodge that was originally designed and owned by skiing legend Stein Eriksen. For the fisherman, this is a charming stream-side Craftsman residence with a large wraparound porch to hang out on and listen to the river. It has a matching accessory apartment too for guests. Singing Elk Ranch is a prime recreational property neighboring over a million acres of National Forest and Wilderness Area. The property also features a custom 5 bedroom/4 bathroom mountain style log cabin that is the perfect home-base for owners and guests. With unprecedented privacy, Trout Creek Ranch is a very attractive opportunity even for the most discerning Montana sporting ranch buyer. The property features multiple recreational pursuits and is tucked into a in a region offering endless exploration while also including modern and comfortable accommodations for 20+ people. With an adjacent National Forest right out your back door and priced well below appraised value, this property offers a new, never-lived in, architect-designed, 5,646 square-foot residence. Aspen is also just down the road! With state of the art barn and training facilities, extraordinary custom home, manicured grounds, and irrigated hay meadows, the YO Equine Ranch has it all for the equine enthusiast. Some of the best Gold Medal fly-fishing in the lower 48 for Brown and Rainbow trout is part of the magic at Mountain Spirit. It is much more than a lodge; it is a majestic retreat for a corporation, family or a tremendous destination guest ranch. The main lodge is a one of a kind 7,500 square foot masterpiece that features a 35 foot stone fireplace as the centerpiece in the great room and is built out of 100 year old hand hewn logs that were shipped in from the south. The four bedroom main home was built in 2007 and is reminiscent of homes in Santa Fe. Each room incorporates unique features, from the unobstructed panoramic views of the Holy Cross Wilderness in the living room to the intricate tile work in the kitchen. Right out your back door is nearly a quarter of a mile of East Lake Creek frontage. This magnificent equestrian estate borders U.S. BLM land with a riding trail head to the 3 million acre San Juan National Forest and the famous Weminuche Wilderness Area. The stunning 5,700 sq. ft. territorial style headquarters residence was designed by award winning architect Michael Bell, with grounds and improvements that are thoughtfully laid out along Texas Creek. The combination of formal gardens, resplendent water features, and manicured lawns that lie between the various structures present an attractive seamless transition between the residential and working portions of the property, making Cottonwood Springs Ranch one of the finest equestrian properties in the inter-mountain west. In addition to a remarkable 19 miles of adjacency to National Forest and 2.5 miles of the Williams Fork River, the Upper Ranch offers numerous homes including a 9 bedroom and 9.5 bath, 11,000 sq. ft. main log lodge designed by an acclaimed Santa Barbara architect, as well as an LL Bean designed hunting lodge.